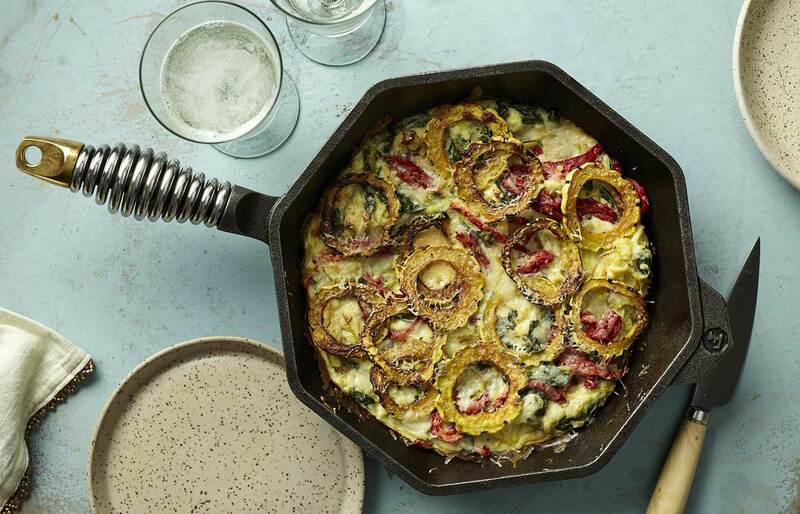 Delicata Fritatta | FINEX Cast Iron Cookware Co. In a medium bowl, whisk the eggs and milk together, then mix in salt and pepper. 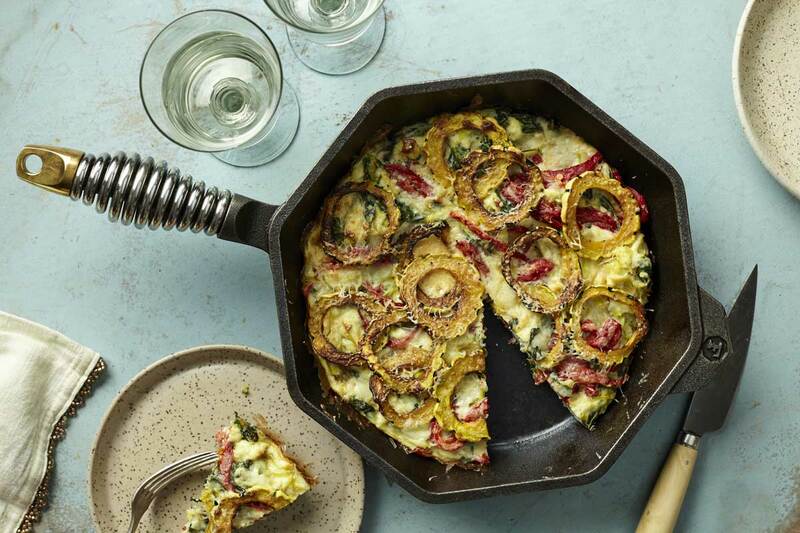 In a 12″ FINEX Cast Iron Skillet heat olive oil and sauté leek, garlic and red bell pepper. Reduce heat and add spinach to wilt in final 1-2 minutes. Pour egg mixture and half of your squash slices into vegetables sauté and let set for one minute before stirring gently. Then set remaining squash slices into top of mixture. Top with grated cheese and place in oven to bake at 350 degrees for 15-20 minutes. Let rest 10 minutes before slicing and serving in your FINEX skillet. Enjoy!